Attend a special event with a free makeover from Gina and discounted facials from NuFace. The event is on Friday December 21st at Clear Sky Medical in Centennial. 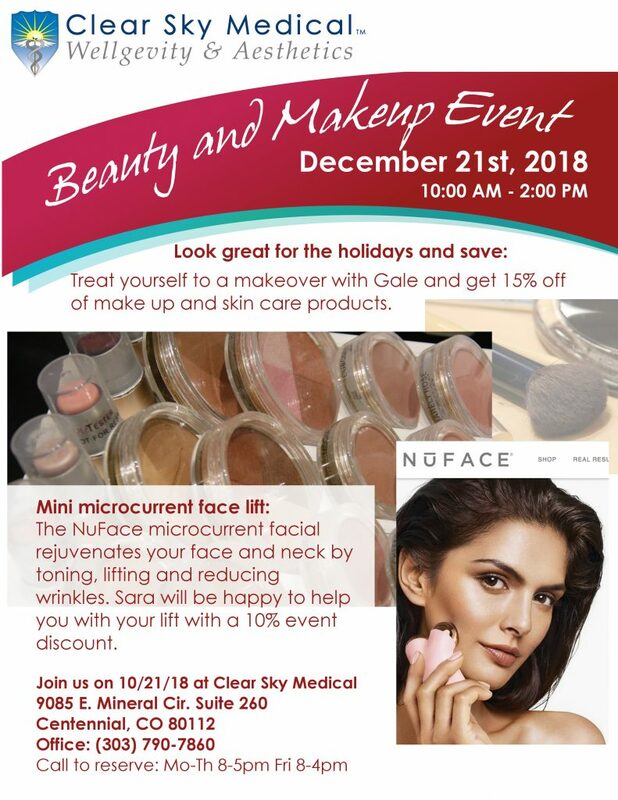 Event discounts: 15% off makeup and skin care products, 10% off a NuFace Microcurrent facial.